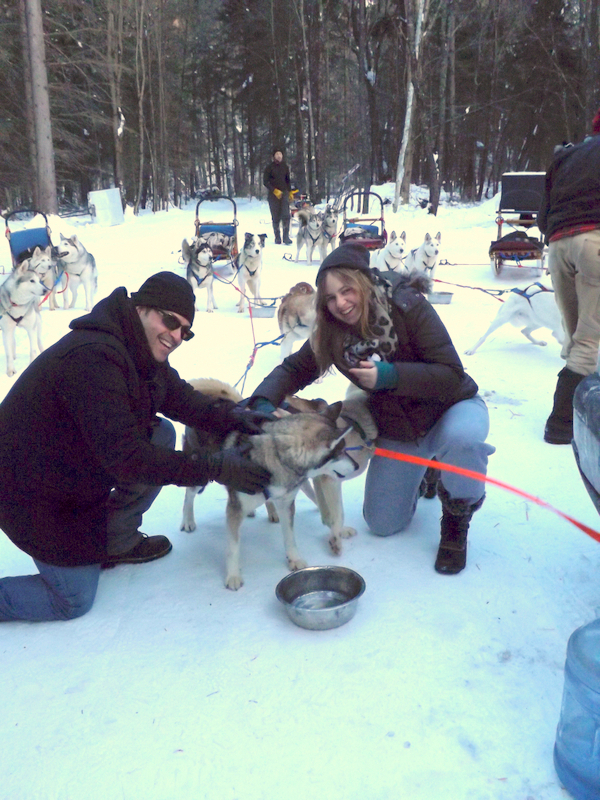 Debra from Parks Blogger Ontario visits Winterdance Dogsled tours and interviews the owners. This January, I decided to take a chance at a new winter sport and try dog sledding. I’ve always had a love for dogs, so I knew that I would enjoy spending time with these friendly animals. And let me tell you, it was totally worth the journey to Haliburton, Ontario to visit the Siberian Huskies at Winterdance! I had a great time and built memories to last a lifetime! After I arrived, there was 20 minutes of training, where I learned everything I needed to know to run a five dog sled team with my other teammate. 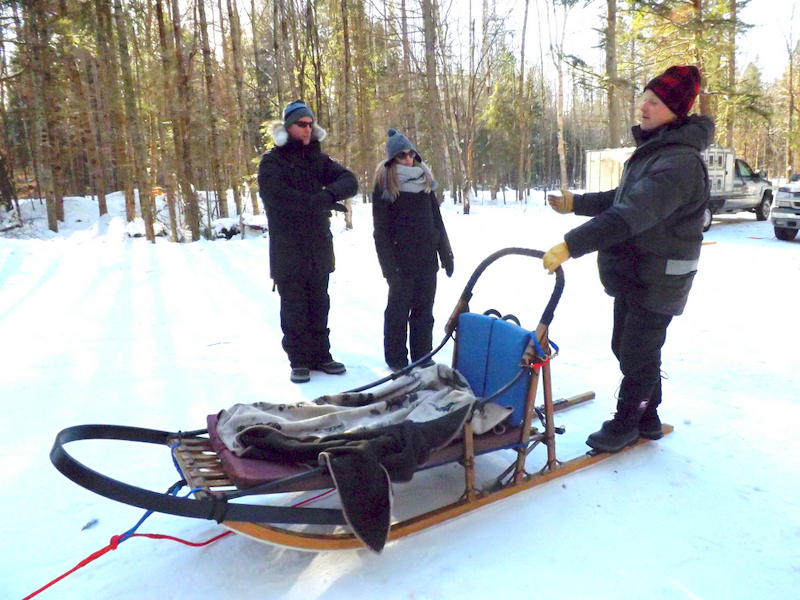 One of us was the passenger and sat in the sled with cushions and blankets, while the other person stood in the back to control the team. I learned how to steer the sled, how to break, how to approach curves and hills on the path, and most importantly, how to demonstrate my encouragement for my team by taking the time to get to know my dogs, cheering them on, and petting them to show my affection. 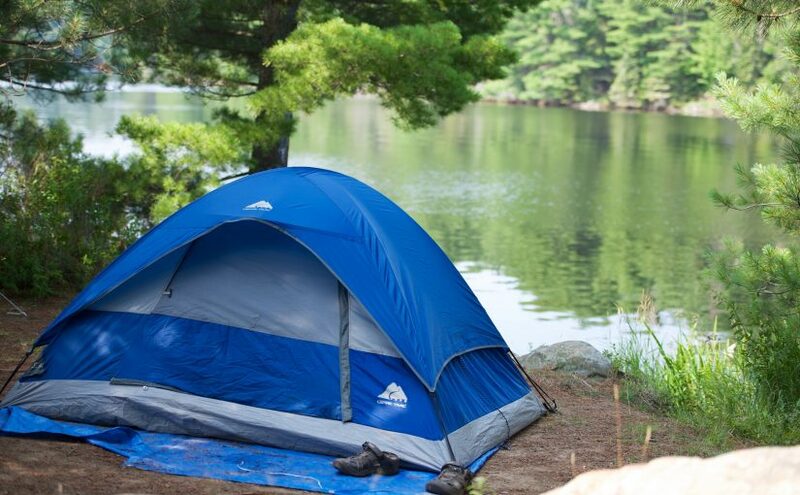 Then we were off, leading into the trailhead, entering almost 5,000 acres of wilderness on a large piece of private property just north of Haliburton Lake, on the doorsteps of Algonquin Park. Being in the middle of nature – with no houses and no people – was a chance to get away from everyday life, and to enjoy the peace and quiet with these passionate, strong, and athletic dogs. I participated in the half-day tour, and enjoyed sledding through the forested area and around the beautiful and pristine Eagle Lake that provided a breathtaking, open landscape. We stopped for hot chocolate and pastries mid-way for a tasty treat and continued on our journey. During the tour, I learned about the history of Winterdance and the incredible legacy the dogs have built. Husband and wife Hank DeBruin and Tanya McCready-DeBruin got their first Siberian husky just 21 years ago in Guelph. They loved their dog so much that they got another six! They were living in a townhouse with seven huskies and quickly decided they needed a bigger space to live, and that city life wasn’t meant for them. Soon after, they moved to Haliburton to start their dog sledding company. Seven turned to 42 dogs in the first year, which has since then grown to a total of approximately 150 dogs, with an added one to two litters per year. The dogs are from the biggest dog sledding racing team in the world travelling in North America. They have run in the Yukon Quest, from Whitehorse to Fairbanks Alaska, and in the Iditarod, from Ankridge Alaska to Nome Alaska. While the dogs have come in two to three times in second place against the Alaskans, they haven’t yet won first place. However, they have won several awards for the nicest looking team – this still being a huge accomplishment! Tour prices range from a two-hour tour at $120 per person to a full day tour on a weekend for $345 a person, but midweek rates are always cheaper than weekends. If children are eight or under, they can be seated with an adult for half price. Other available packages include a moonlit evening tour, a full-day tour, a multi-day dog sledding trip, a private tour with personal guides, and a helicopter round-trip tour from Toronto to Haliburton with a full day of dogsledding. To inquire about tours and rates, or to book a reservation, you can visit www.winterdance.com, email info@winterdance.com or call (705) 457-5281.